It's been quiet here for a while but it's in a good cause. We have been quietly working away and preparing for the couple of upcoming events I have mentioned in the previous blog post. Every month I pick a week and write about little things that happened to me or I noticed something I would like to share with you. 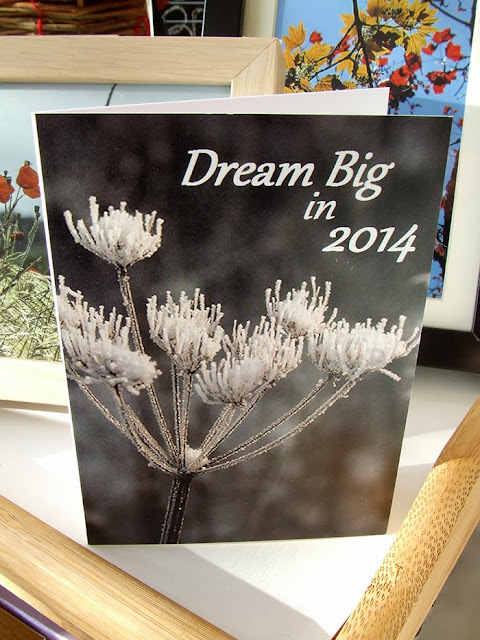 This evening I'm sharing with you my recent photo notes. 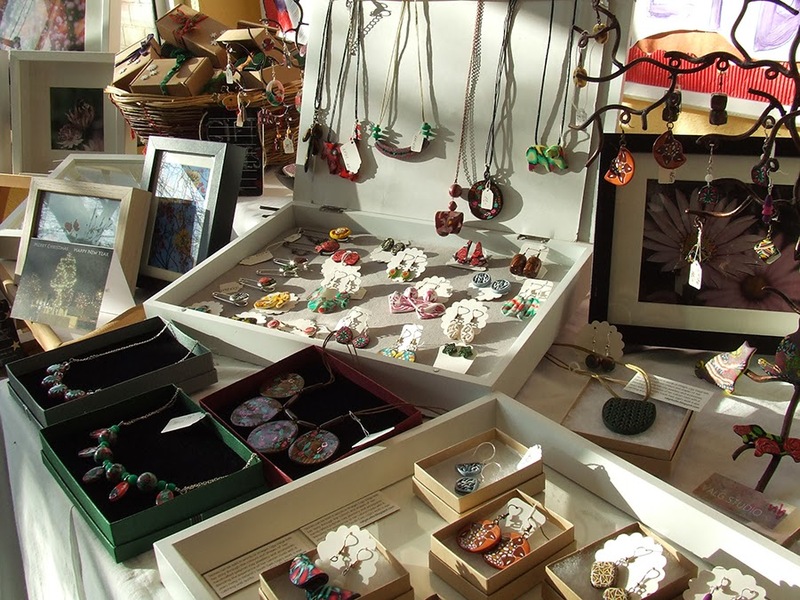 Craft Fair Weekend, November 23rd & 24th. 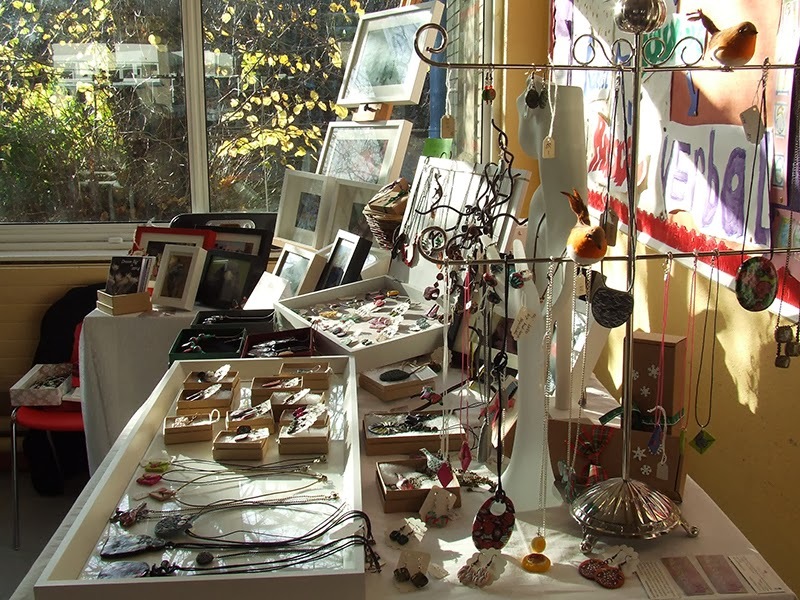 Even it wasn't very warm outside I had some sunny spot in Christmas Craft Fair in Mother of Fair Love School in Kilkenny. After recently participating in Merchandising workshop for design and craft enterprises I was willing to try to improve my display again. 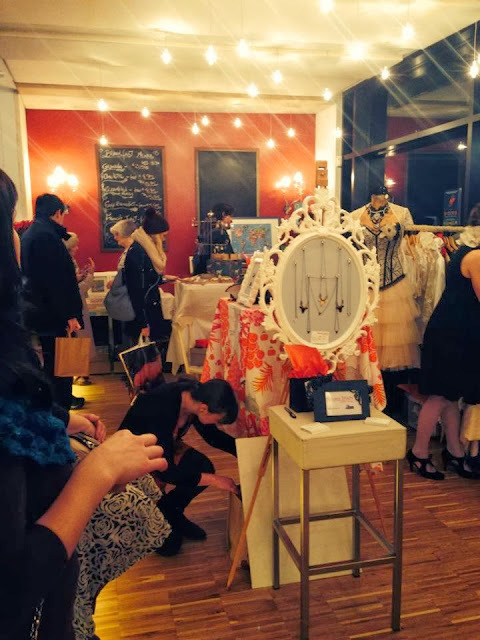 I enjoyed my experience at first Swoop Pop - Up shop in Dublin this evening. 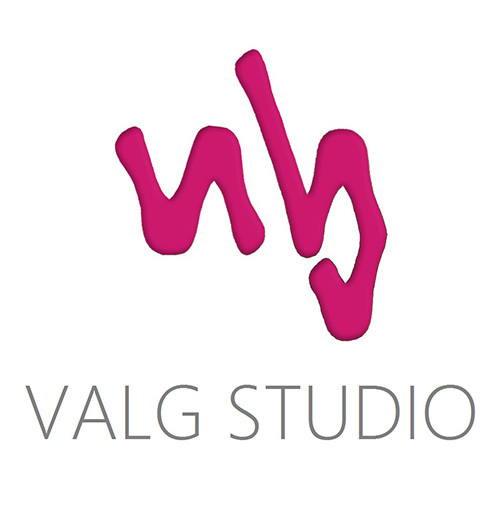 Great irish designers & makers taking part with beautiful handmade goods. My hand is hiding delicious mince pie. :) There will be one more Swoop Pop - Up on the December 3rd. For more details check swoop.ie . Image courtesy swoop.ie . It has been a while since I made a flower cane. 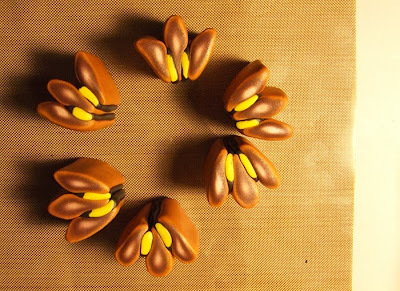 Looking at this image its warm brown colors remind me that I have to make Gingerbread Cookie Dough very soon. Poster is Here, November 28th. I love doing many creative things and this poster is my another creative journey. I'm happy how it turned out and now can't wait until Carlow Made Pop - Up Shop is open on December 5th in Carlow (Superquinn) Shopping Centre. Saying goodbye to November and hello to December! I thought I will have some fun title for this blog post because I am really getting excited about this upcoming holiday season. November has started with meetings, organizing studio space, ordering extra supplies and packaging elements, making new beads and of course many, many other things. Needless to say it's the busiest time of the year. 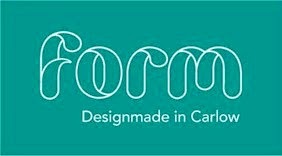 In the next couple of weeks Craft Fair and Pop-Up Shop activities will embrace us and make it extra exciting and busy. During the last week of November we will be taking part in two great events. Firstly we are impatiently looking forward to Swoop Christmas Pop-Up Shop in Dublin on November 26th in the luxurious setting of Caffe Parigi located on Sir John Rogerson's Quay in Dublin 2. Swoop is online marketplace for unique and handmade products in Ireland and its first pop-up shop is promising to be well attended with a great buzz. We also are looking forward to Christmas Fair in Mother of Fair Love School on James Street in Kilkenny on the November 23rd & 24th. We were taking part at the Art & Craft Fair during Kilkenny Arts Festival there previously and it really is lovely nice size craft fair with comfortable atmosphere. Come along and see for yourself! 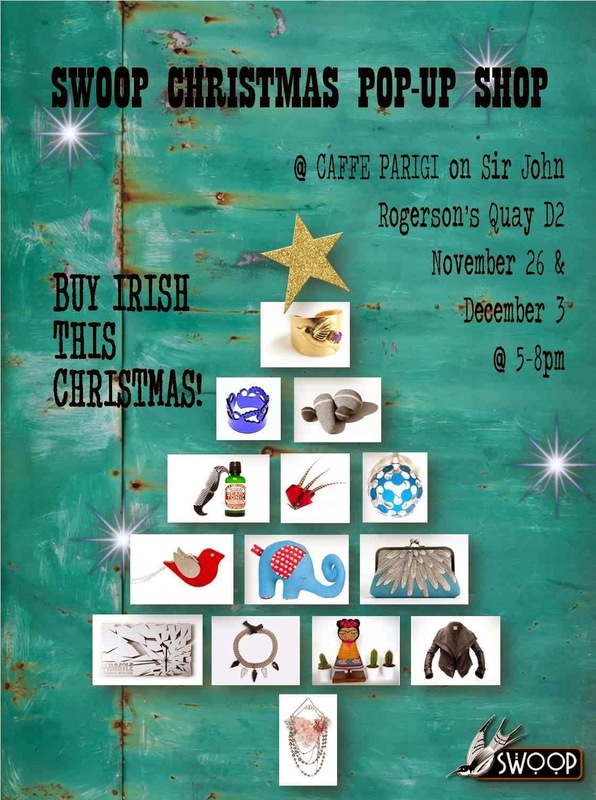 Christmas Fair in Mother of Fair Love School in Kilkenny November 23rd & 24th. 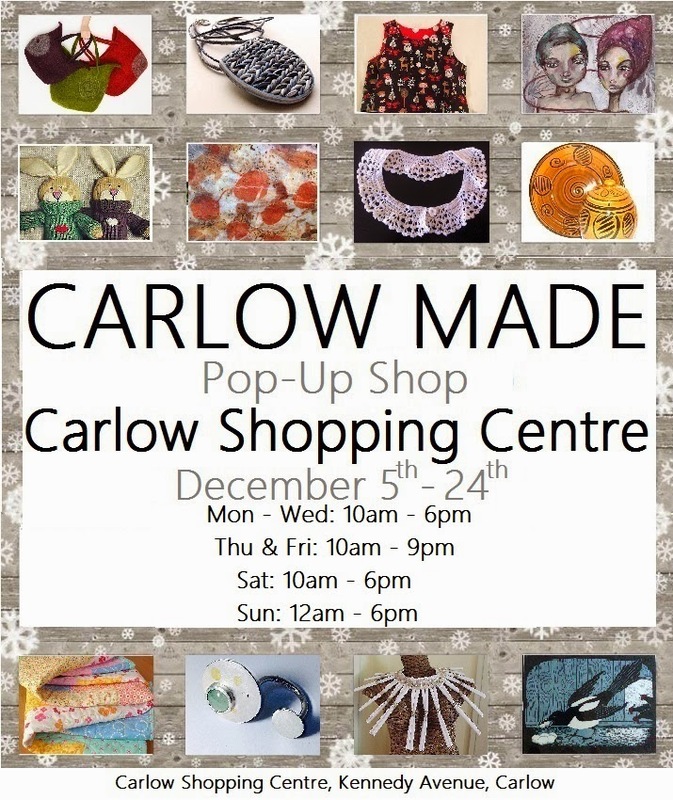 Early in the December we will be busy setting up Carlow Made Pop-Up Shop in Carlow town. 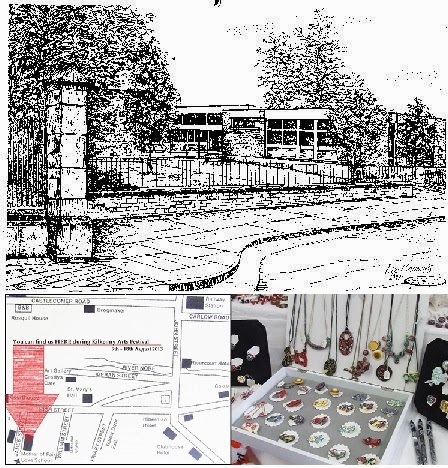 Carlow Made is a group of artists and crafters joined together to bring selection of locally produced items available in the Pop - Up Shop opening early December in the Carlow town right up until Christmas Eve and we are delighted to take part. It is always great pleasure to showcase locally and meet local community. We will have more details about Carlow Made pop-up shop on our Facebook Page soon. And last but not least is lovely Gorey Creative Fair held on tree Saturdays during the month of December - 7th, 14th & 21st in the Gorey Shopping Centre. We always had great time there! Wonderful visitors - some buying, some admiring, also pleasure to meet fellow crafters and see new and unique items available. Great Christmas gift ideas and yummy delicious treats. 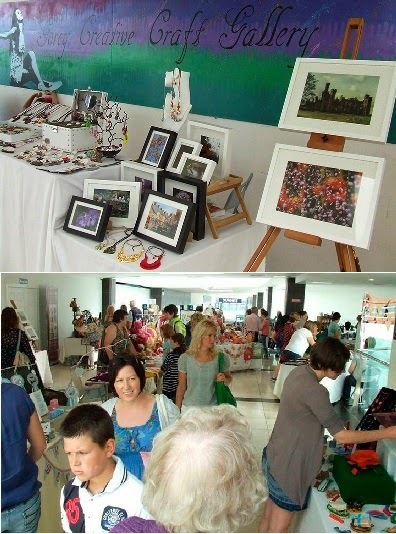 Gorey Creative Fair at Gorey Shopping Centre in Gorey town. I would like to think that you have marked day in your calendars when you are going to the Christmas Craft Fair?! Local or not but I think it's definitely worth to visit one because it just ads to overall holiday feeling. We are adding final touches to our Faux Knitted Jewellery range and it will be available at all the fairs mentioned above and also in the tree online marketplaces SWOOP, HATCH and ETSY showcasing our work. Happy Christmas shopping everyone! I have started mine back in October.